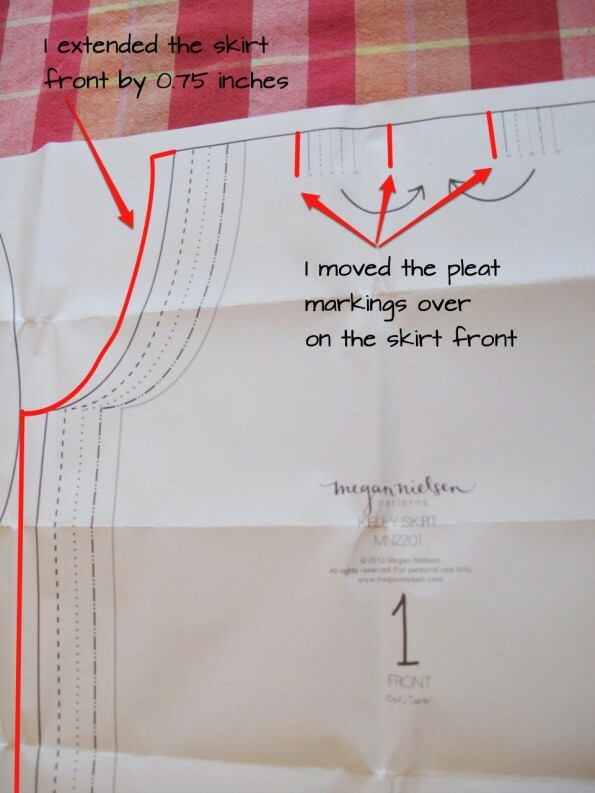 Have you seen the Kelly skirt pattern by Megan Nielsen? It’s quite cute. 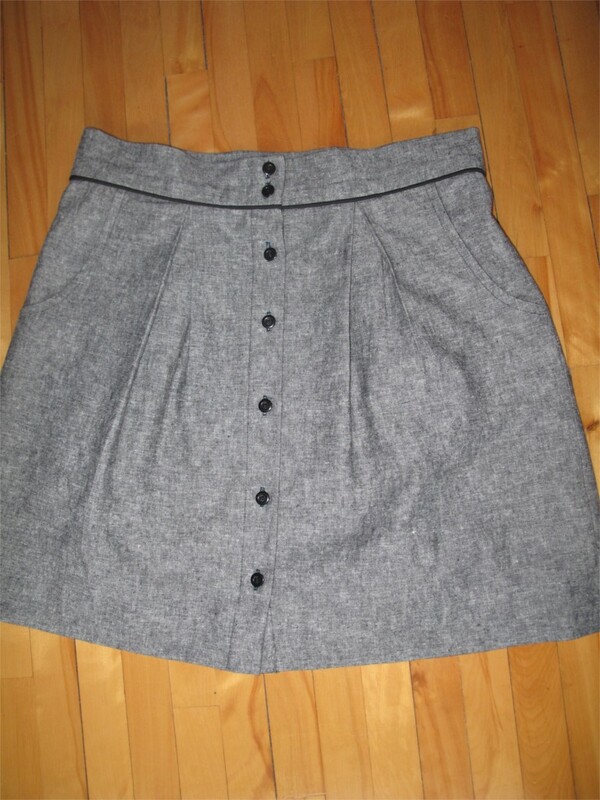 The Kelly skirt is a softly pleated, button-up skirt. It’s quite flattering on a variety of figures and according to the pattern designer, “created with the beginner sewer in mind”. I’ve seen several cute versions online, but my favourites are by Adrienne at Stitching on the Edge, and Andrea at four square walls. Both used piping and linen, and I thought I would do the same. My fabric is Robert Kaufman’s Essex yarn-dyed cotton-linen blend in black. I’m a huge fan of linen, and this fabric is amazing. It’s a bit heavier than your standard linen and has a really great, slightly nubby texture. I’m already dreaming up new clothing I can make with it. I bought the pattern online from The Workroom, and the fabric online from Mad About Patchwork. Both are Canadian. You can find a big list of online Canadian fabric stores here. I used store-bought black piping from one of the local fabric stores. I really like this look, but when I was trying the skirt on, I found that in real-life wearing of this skirt, I would probably go with a longer top, which necessarily covers the piping detail. Oh well. I know it’s there. I fully lined the skirt (I’m not sure what the lining fabric is), mostly so I could wear it in the winter with tights. It makes for a warmer skirt, with smoother lines and fewer wrinkles in the fabric. 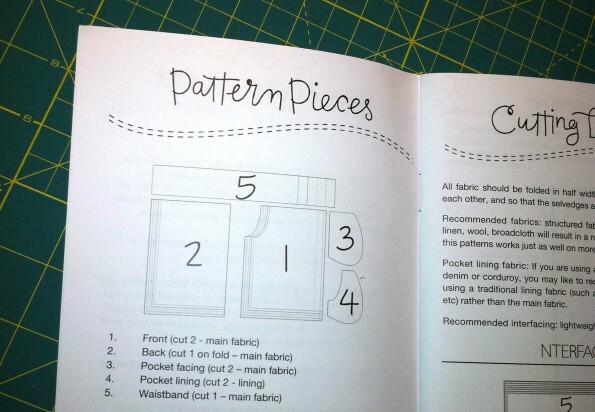 The pattern does not come with instructions for the lining. My Kelly skirt is fully lined. I have no idea what the lining fabric is. The pattern and instructions are great. It’s an easy pattern (only 5 pattern pieces) which really is great for beginners. I’m not a beginner, so the whole project went quite quickly. I especially like having the instructions in a booklet. The pattern is printed on thick paper, so you need to trace the pattern onto tracing paper. 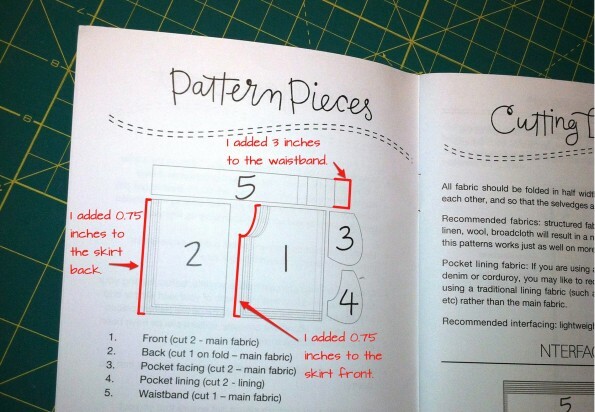 Both the booklet and pattern are quite durable, which is always nice with a pattern you intend to use multiple times, which I do. Piping detail on the Kelly skirt. The piping lines up nicely in real life. 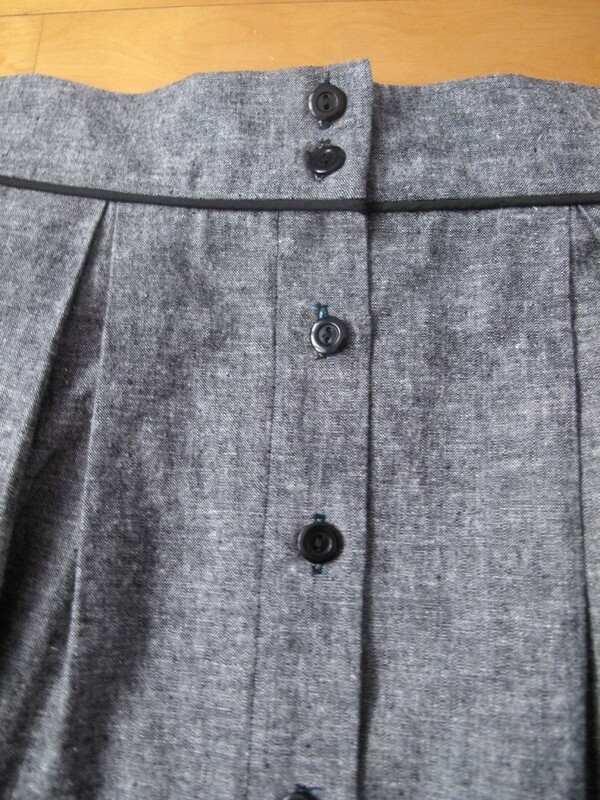 A better shot of the piping on the Kelly skirt. I only have two complaints. The first is really very minor, nit picky even, but when constructing the skirt, it’s a good idea to baste the pockets to the side seams before joining the front and the back. It keeps the pocket from rippling. It’s a very small detail, but one that would probably help beginners. The other problem I had was with the sizes. In the US, the average waist circumference for adult women is currently 37.5 inches. In the UK, it’s 33 inches. In Canada, it’s 34 inches. This skirt fits waists between 26 and 34 inches (66-86 cm). 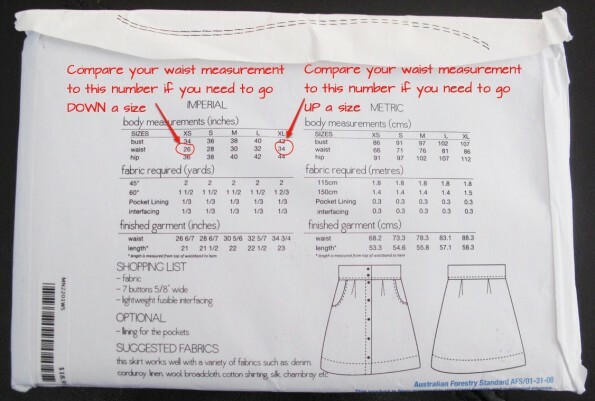 In commercial pattern sizes, that translates roughly to sizes 12 to 20. That is a pretty good range, but it would be nice if the pattern were available in an even larger range of sizes. I recently had my fourth baby, and although I would normally be a size large in the Megan Nielsen size range, my waist is (temporarily I hope!) larger than the largest size included in the pattern. 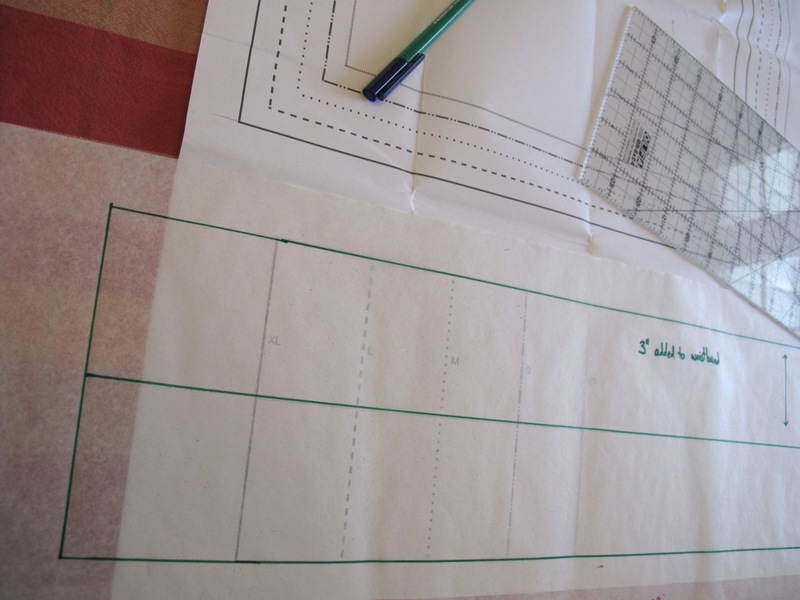 I graded the pattern up a size, which was quite easy, but not something that every beginner will be able to do. Despite my small complaints, I thought that overall this was a very good pattern and it makes a very wearable, flattering skirt. This is how I would normally wear this skirt, which means that you can’t see the piping. Kelly Skirt by Megan Nielsen. Just before I made this skirt I got a belated birthday present in the mail. Can you identify these presser feet? Can you identify these presser feet? 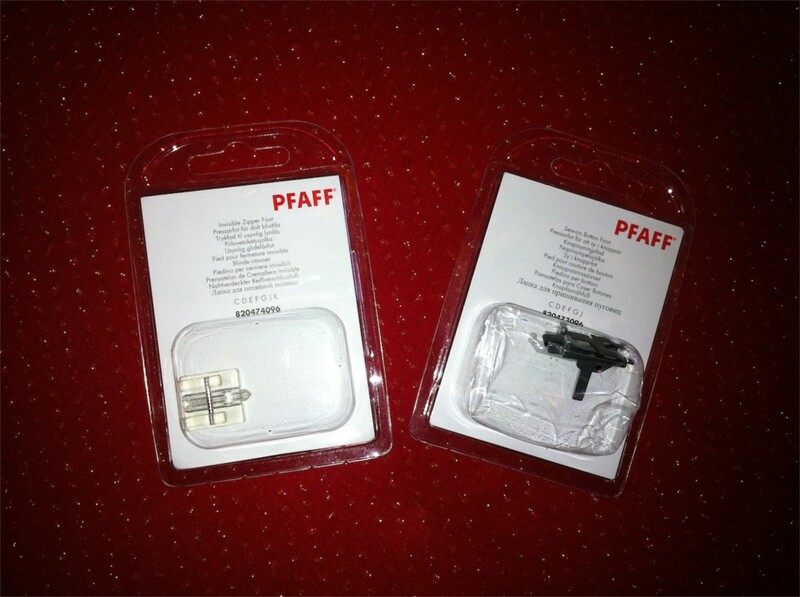 One is an invisible zipper foot, the other is a sew-on button foot. I was so excited when I opened these up. I know, I’m such a sewing geek. I’ve been sewing for years, but on a very basic machine. It was one of the first purchases I made when I moved out on my own. It’s a basic Singer, with no special presser feet. Having this machine has meant that all the finishing details of my clothes were done by hand. I had never sewn on a button by machine. I had also never made a blind hem, any way except by hand. I once made a formal gown for my sister. It had a floor length, full circle skirt in satin, with layers of tulle underneath. I hand-stitched the entire blind hem. It took ages. 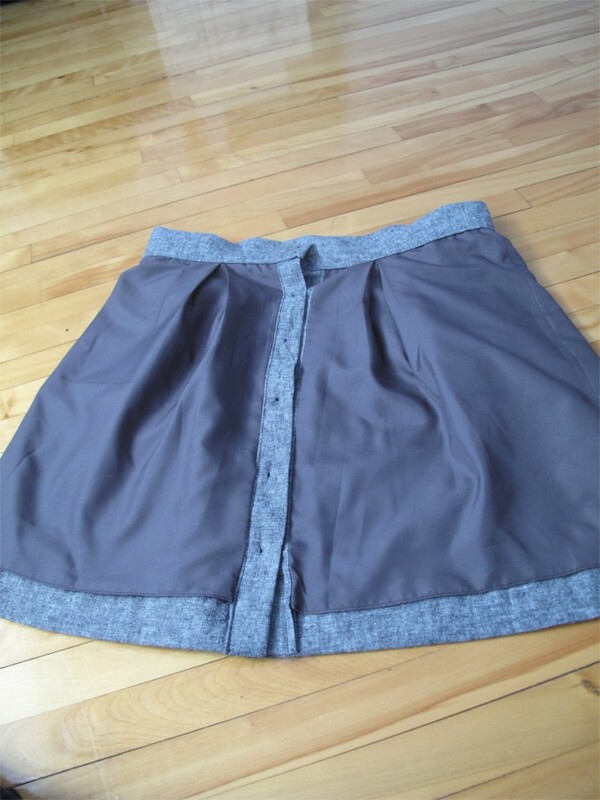 Kelly Skirt in linen with black piping. A couple of years ago my husband bought me a much better machine. One of the most eye-opening things for me is trying out all the special presser feet. It has made sewing much easier and much more precise, though I still like the look of hand-finished details. 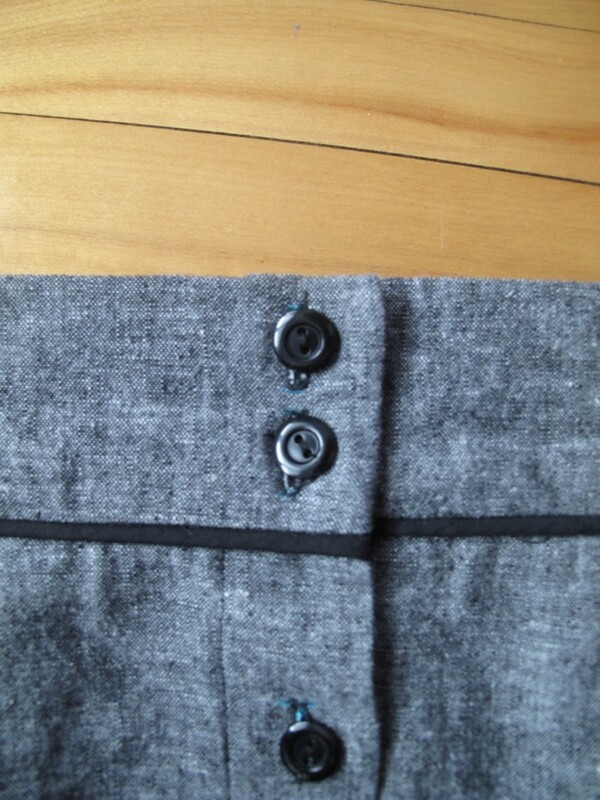 This is the first time I’ve machine sewn buttons to a garment. I like it a lot, especially for casual clothes. With a coat, I would still sew on the buttons by hand. I’ve been looking at Colette Pattern’s Beignet skirt for a while now, but the number of buttons was so discouraging. I think I see a Beignet skirt in my future now. This is also the first time I’ve made a blind-hem by machine. I’m not sure if I’m a fan. From the outside it looks perfect, of course. Though I’m not used to seeing all the stitches on the inside. 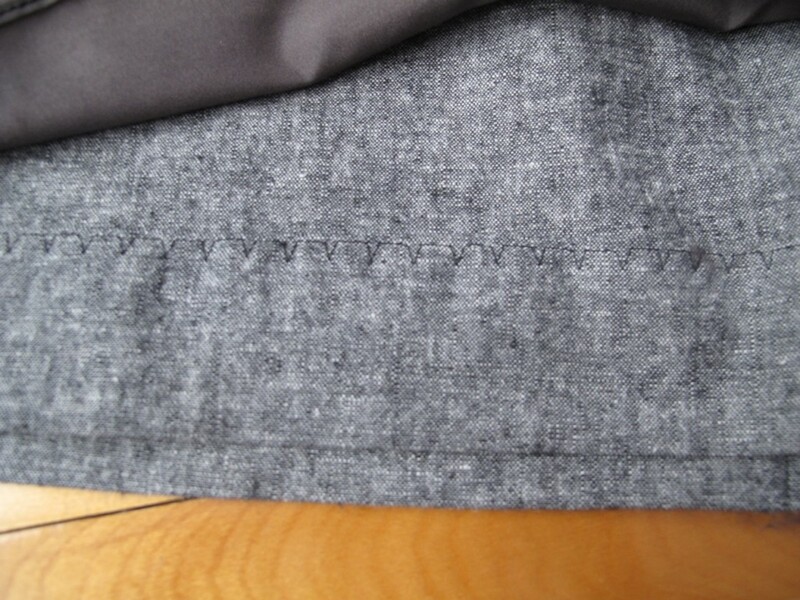 When you hand-stitch a blind hem, it is invisible on the inside as well. On the other hand, the lining covers the hem, so I’ll never really see it. The machine-stitched blind hem of my Kelly skirt. 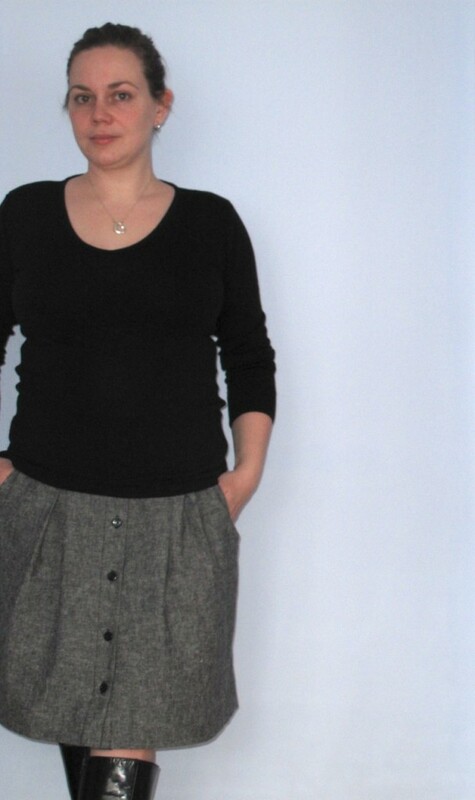 Pattern Review: Kelly Skirt by Megan Nielsen. Fabric: Robert Kaufman’s Essex yarn-dyed cotton-linen blend in black. Size: XL, graded up a size. Modifications: I added piping, a full lining and graded the pattern up a size. Results: Good. I would recommend this pattern and would make it again. Kelly skirt by Megan Nielsen in linen with black piping. I promise I am much more impressed with this skirt than my facial expression might lead you to believe.